Like father like son. 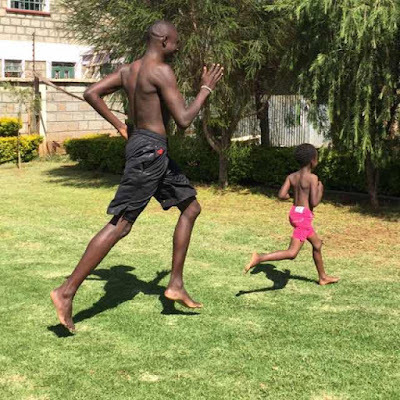 Look at this photo of David Rudisha and his son. Besides being Kenya’s Olympic Gold Medalist, David Rudisha is also proud to be a husband and father. He has not allowed his career and talents to consume him beyond having time for his family. The Gold Medalist took to social media to show the world that he is proud to be a father as he posted a photo of his son as they are doing some outdoor exercise.